As we get closer to the end of the year, we know more and more publishers are planning their strategies for 2019. For many, this means a renewed focus on their digital products. As inspiration, we have three rules for a successful digital news product strategy. One of the key essentials for publishers in the digital age is to publish at the convenience of the audience, not the newsroom. This means that your digital product strategy should be inspired from what your readers need. 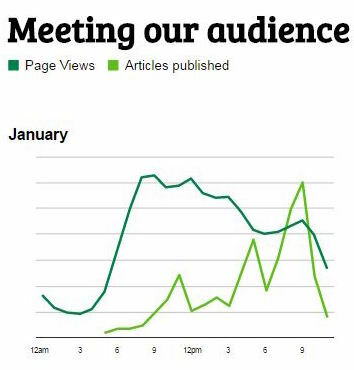 Minnesotan newspaper Star Tribune was recently lauded by Poynter for how it outperforms similar American metro dailies. One of the reasons they have been so successful is because they listen to their readers to make product decisions. They were surprised when they compared when they were publishing their stories versus when readers were actually consuming the stories—it didn’t match up! Ouest-France used this insight when they recognised a new moment of consumption for their readers and realised they did not have a product to fit these readers’ needs. In 2013 they saw evening readers was a growing demographic they were missing out on, so they created L’édition du Soir, a digital-only evening edition that utilizes the time readers have while commuting home or relaxing after work. 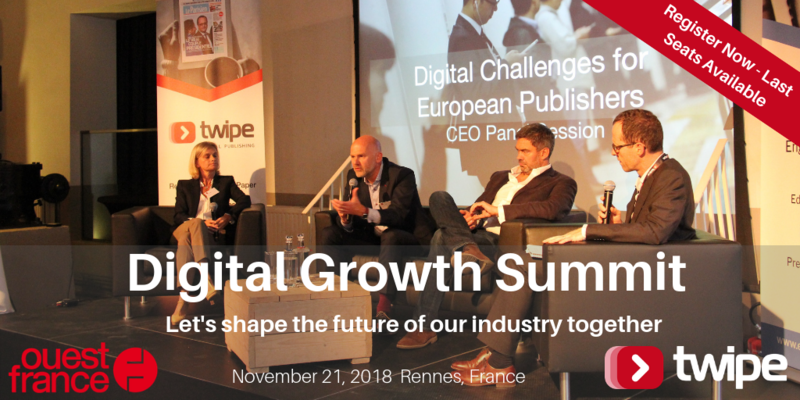 Join us in Rennes on November 21 to hear more of the story of L’édition du Soir at the Digital Growth Summit. One of the biggest advantage of being digital is that you can use data to take decisions. Don’t be afraid to try new things to see how your readers respond. Many of the most innovative digital news products in recent years have come out of a pure desire to experiment. Innovating doesn’t always mean creating something entirely new, it can also come from reimagining an old idea. We’ve seen great success recently from publishers who are returning to edition-based publishing strategies for their digital products, including The Economist’s innovative Espresso edition. We recently analysed their product strategy in the report “Reinventing Digital Editions: Best Practices from Leading European Publishers“. The Economist has continued to use data to rework their digital product strategy. Earlier this year, they incorporated the Espresso edition into the main Economist app, based on reader demand, while still keeping the Espresso edition as a standalone app. This is a trend we also see in our own platform, with more and more publishers moving to combined Replica + NextGen products. If you are looking to experiment in your company, one of the best methodologies we can recommend is Ash Maurya’s problem interview technique. The bible for product development may just be Nir Eyal’s “Hooked”, which explores in depth how to build products that become part of your audience’s daily routines. 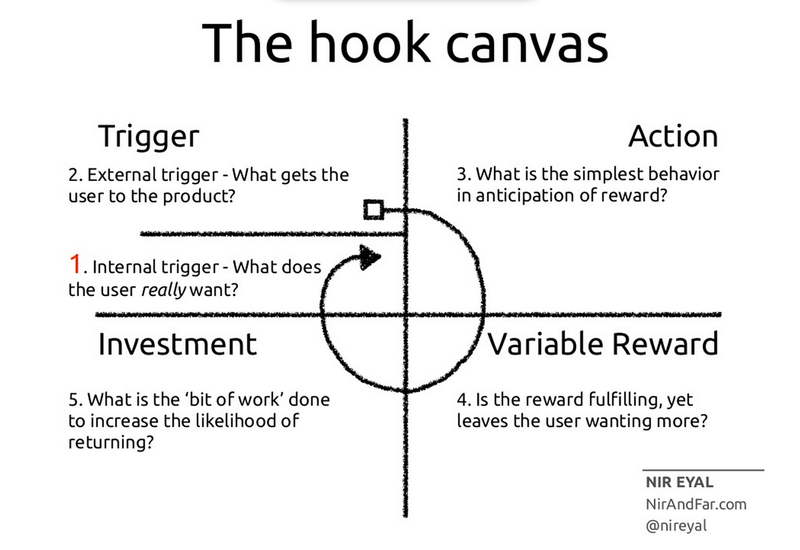 The hook canvas is crucial for understanding how to trigger returning users and can help publishers grasp why Facebook, Google, and the like are so adept at developing addictive audience behaviour. A key takeaway for publishers is the importance of external triggers in converting first time readers into loyal subscribers. There are many ways this can be achieved, whether is be through push notifications, newsletters, or something else. The important thing however is to capitalize on the internal triggers of your readers, to understand what will best trigger them to read (something we’re working on now as well with “JAMES, Your Digital Butler”). To learn more on what triggers news readers, subscribe to receive our latest report later this month, which examines how digital news readers respond to different news product formats. For more inspiration for your 2019 digital product strategy, make sure to join us at the Digital Growth Summit on November 21 in Rennes, France. We will hear best practices from industry leaders including Le Monde, The Times, DuMont, BBC, Der Standard, Børsen, and the Guardian. If you can’t make it the Summit, make sure to sign up for a call afterwards to hear the best practices that were agreed on and to discuss your digital product strategy with one of our experts. Never miss a story – Subscribe to our weekly newsletter. This entry was posted in Industry news and tagged analytics, Digital publishing, Digital Strategy, ePaper, Mobile publishing. Bookmark the permalink.